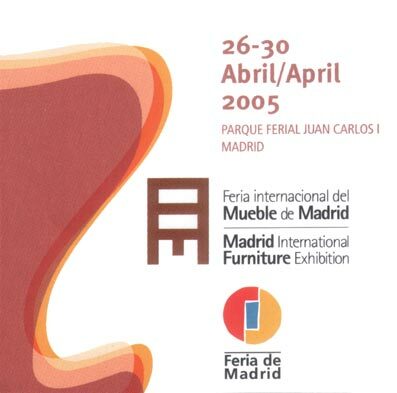 We were at the International Furniture Fair in IFEMA Madrid from 26 to 30 April 2005. "The collection of designs that is presented in the 2005 FIMM is dynamic between "pop and cosmic." It is a type of furniture that can be seamlessly integrated into the daily life of the current decor that complements and strengthens decoration currently consuming our society."